Since being launched by brothers Joe and Tom Barratt in Stockport in 2012, The Teenage Market has hosted over 120 events in 29 towns around the UK and now has over 1000 users registered. 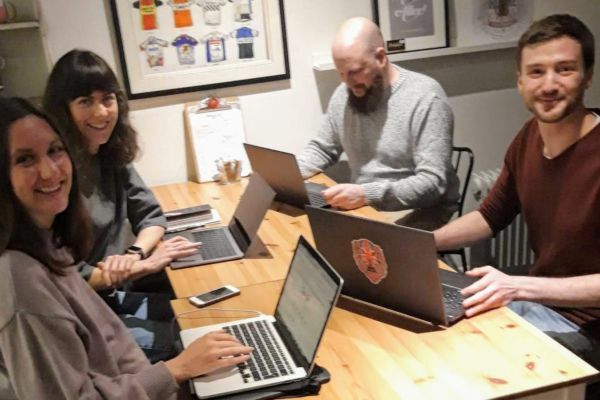 I have worked with Joe on several project based in Stockport Old Town including website for Stockport Foodie Friday and Screen Stockport Independent Film Festival. Having spent much of the winter months working on a modern redesign, Joe brought me on board in the spring to develop his new designs into a fully functioning website, in particularly improving how the site works on mobile phones. Since launching the website, over 40% of traffic has come from phones and especially given the target audience of young people it’s massively important the site is easy to use on a mobile device. I would describe the Teenage Market website as a cross between an events site and a small-scale social network. 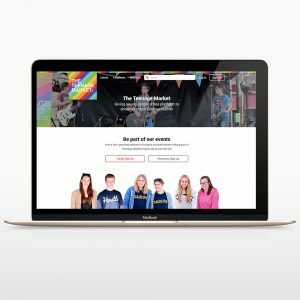 Town organisers create a profile on the website and can create Teenage Market events. Local traders and performers get an email inviting them along and they can sign up to claim a pitch. This in return notifies the organiser who can choose to accept or reject the applicant. Traders and performers can customise their own page including added a profile and banner photo, video, photo gallery and their social media links. Profiles also display any upcoming and past events the trader has attended. In terms of back-end functionality, The Teenage Market website is by far the largest and most complex website I’ve ever worked on and I’ve learnt a massive amount of new skills along the way. The event page template has around 10 different states depending if you are logged in as the event organiser, you’re a trader/performer looking to apply or you’re already attending (plus many more x_x). This involved a lot of nested conditional statements and many a diagram was scribbled! The website features an automated custom email system which uses Mandrill to send out custom messages from templates set up in Mailchimp. As well as the various application process emails organisers can also send messages to traders and performers who have signed up to attend their event. Attendees also receive reminder emails when their next event is approaching. Traders, Performers and Organisers can manage their profiles via a front-end login area without having access to the WordPress admin area which creates a more seamless experience. This all works through a combination of Advanced Custom Fields and Gravity Forms. It’s taken approximately 5 months of development to build the new Teenage Market website, plus all of Joe’s design phase which started last year so I consider this a massive achievement for the two of us to finally see it up and running! It is fantastic to see the website being used by real people and seeing the different profiles being created. I am immensely proud to be a part of this project and I’m very excited to see it up live and being used in such a positive way. You can visit The Teenage Market website here, as well as checking them out on Facebook and Twitter.